Okay, so we’re not really encouraging you to “steal” backlinks or take an unlawful step in redirecting traffic, but the question of using FREE backlink generators recently became another popular topic on top-rated Q&A sites like Quora that needed to be addressed. But, this begged the added question – Is there a better way of gathering high-quality backlinks? Back2Basics will always promote the first step of starting with good, quality content that answers a question… like this article, but we also know there are times; especially with newer websites, getting others to take notice of your content and using it as a professional reference isn’t always the easiest thing to do. Are free backlink generators pure gold or fool’s gold? How can you win the backlink from a strong established author site? 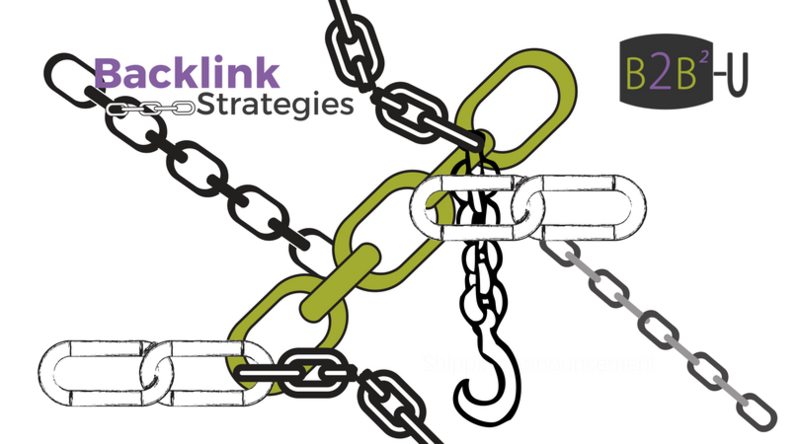 Can you gain high-quality backlinks through a free backlink generator? I hesitantly trust anything that says “quality” for “free”. Quality is a subjective word used frequently in marketing content, so I hesitate when I see the two words (even in simile) used conjunctively in context because I think it sets a false expectation. With that said, I don’t think you should “pay” someone to backlink to your content either, but the question here is more about “generators” and how you can find free generators to take care of the task of obtaining quality backlinks. So, let’s tackle it from that perspective. First off, think about the connotation of the word ‘generator’. It implies automation. Now ask yourself… how can a free generating tool (or software) automatically get you really good quality backlinks that point back to specific and relevant topics on your site unless they have access to the linking resource’s code/content to create the backlink? I think it’s a stretch to say something automated would have the ability to access another site owner’s content (and/or code) to automatically create a backlink to your site. The only way I see this possible is if the automated system already had access to the linking site, which infers a relationship that, on its face, should tell you there’s another reason why they would be providing it free of charge to you. Furthermore, how do they prove “quality”? Many just assume all is well because they say it’s so, and if they provide a list of these backlink resources they may sprinkle one or two from resources (again that they own) which may have decent authority and then dozens or hundreds of other silos. Those silos are not looked upon kindly by search engine giants like Google. So, check… Are these links actually coming from a strong domain authority? Are they linking to relative pieces of content on your site or just random areas and unrelated to the content they’re linking from? That latter will most likely result in little weight from the search engines and in some cases, they could cause you bigger problems down the road. AT the end of the day, if you want good quality backlinks from strong authority sites that encourage your site content’s reach and rank, then start with the strength of your content. Then, take a look at your competitors for similar ranking topics. Who’s linking to them and how do you capitalize? The first thing you need to do is decide on a topic you feel is important for your readers to know about and you want to write about. Then look to the search engines for articles from your competitors that are currently ranking. Take note of how those articles are constructed; their length and breadth, the media used, the layout and navigation, the supplementing resources. After looking through the top 2-3 articles make a list of those pieces they all have in common? What’s missing? When your article is completed and published, it’s time for a little more research. Hopefully you will begin organically reaching out and grabbing the attention of other ranking content creators who lean on your content as an authoritative reference, but until such time, you may need to help shine the light on your own work. This is where reaching out to those high authority writers and asking them to take a look at your work is important… but, how do you find them? How do you know who to reach out to? A thorough scan should show you where the backlink originated from and how they may currently rank in the SERPs or domain authority levels. From there you can scour the link author’s website for contact information to use to reach out to. That brings us to the next step. Reach out to each of the writers you found who linked back to the competitors’ articles and let them know you have a much better, updated, and more detailed resource they should consider linking to. Follow-up, follow-up, follow-up. Persistence wins the carnival prize. Again, you may find very few initially responding with link back to your content, but as you build authority over time that trend can change. It only takes one or two good ones to get the ball rolling if you’re consistent in the efforts. This is just one strategy in obtaining good quality backlinks to your new site content, but there’s one thing that’s consistently the same between all of the best-practice strategies today and that’s consistency in your efforts. So, whether you’re trying to tackle this goal on your own or you’re working with an SEO team like Back2Basics, plan for a long-term, on-going consistent effort to keep momentum moving. There are no guarantees in SEO because it’s a moving target. You will inevitably see ups and downs, but being consistent in your content strategies and then having the right tools and resources available to help keep you informed about what’s been working and what hasn’t will keep you going the right direction.